Unfortunately because of insurance issues and my regular doctor not practicing any longer, I am left scrambling to find a provider that participates with my insurance and one willing to fill my monthly medication that I’ve been taking for 7+years. The medication just so happens to be a schedule 2(?) drug and unfortunately this makes it very hard for a new physician to prescribe without some sort of patient relationship/history. Dr. Sachdeva is a wonderful, extremely intelligent physician and absolutely protecting her medical licensing by refusing to write me a script for my medication - I understand that. I hoped by my honesty and lack of history with multiple physicians (I’ve seen the same doctor for the last few years), she would be understanding and help me by establishing a new relationship with her and fill my medicine that I very desperately need. Instead, she had me do a urine drug screen (no issues there), and offered to give me a prescription for a drug I’ve taken during the early years of being diagnosed with the condition that requires medication. During that “experimental” time, my physician at the time had me do many trials until we found what worked best for me. Changing my prescription would do nothing for me. I understand she is protecting herself, but I am not one to even fill early - I hardly even fill on time (usually a few days late), so I am frustrated and back at square one. With that said, I would recommend this doctor to a new patient only if they didn’t have a history of depression, ADD/ADHD, anxiety and/or any condition that requires medication management; it’s extremely detrimental to your wellbeing by not being prescribed correct dosages and/or medication. Office opens at 10AM yet she did not show up until 10:45AM, apparently this is a regular occurrence. She was very respectful. I felt comfortable talking to her. All of my questions were answered happily. I would recommend her to my friends. She’s a sweetheart and only wants the best for her patients! 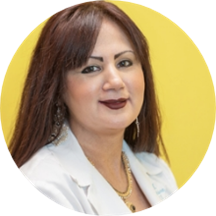 Dr. Shabnam Sachdeva, MD has no appointments on Zocdoc right now.